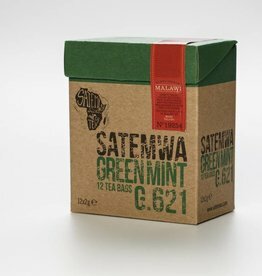 The Satemwa Luxury Tea Bags were made for you to enjoy the Satemwa Teas at your convenience. 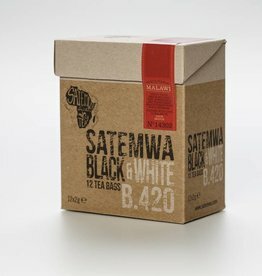 We pack the freshest tea in a high quality transparant tea bag and protect from air an light with a hip and trendy wrap to secure the taste and keep the freshness! We currently have 4 different flavors direct from the estate to your doorstep in Europe, the USA and Canada! the slopes of Thyolo Mountain. What a powerful combination he is! powerful but gentle, soothing but energetic. Her reddish leaves reflect the early sky turning pink in a cloud of milk. 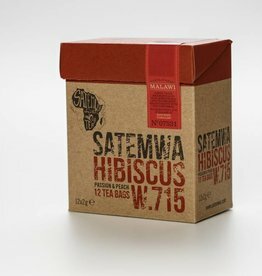 White Hibiscus… is the free-spirited daughter of the Satemwa family, singing with the earthy tones of our finest white tea and the sweet, distinctive notes of hibiscus. Hints of passionfruit make her enchanting, a twist of peach makes her unique. 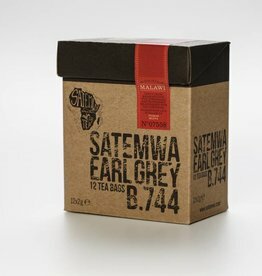 Earl Grey... is the distinguished gentleman of the Satemwa family, combining two of our finest black tea varieties. The twinkle in his eye is a twist of delicious bergamot.